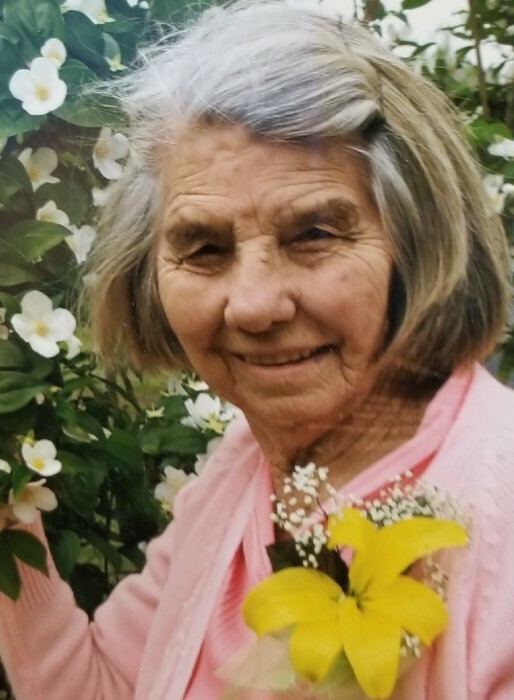 Alevia Christine Hunt, 97, passed away on Monday, July 9, 2018 at the Greene Rural Health Center. She was a member of the First Baptist Church of Leakesville. When Brookley Field Air Force Base closed, she went into the flower business in Leakesville and for over 40 years was loved by her customers. She was active in city and county projects and served on the local election board. She was an avid Greene County High School, Mississippi State, and New Orleans Saints Football fan. More than anything she loved her family and friends. She was loved and will be greatly missed. She was preceded in death by her husband of 68 years, Chester Holland Hunt; parents, Louie and Minnie Ball; brother, Henry Ball; son, Charley L. Hunt. Left to cherish her memories are her children, James Chester Hunt (Janice), Carolyn Turner Byrd, Alvonette Hunt, Chester Holland Hunt, Jr. (Helen), and Larry Wayne Hunt (Darlene); 14 grandchildren; 27 great-grandchildren; 15 great-great-grandchildren; very special friend, Jimmy Breland; and a host of nieces, nephews, and friends.